As Indians celebrate their 70th Republic Day this week, Bollywood seems to be doing its bit to evoke patriotism. On January 24, Kangana Ranaut will roll out her directorial venture ‘Manikarnika: The Queen Of Jhansi’, in which she plays the title role. 1. ‘Manikarnika: The Queen of Jhansi’ is a period biopic based on the life of warrior queen Laxmibai of Jhansi, who was born Manikarnika Tambe. Ranaut considers her as a stupendous Indian hero whose legacy needs to be preserved. It’s Ranaut’s first attempt at doing a period film filled with action sequences. “The shield I used weighed around 5kg. The entire team started getting ready at 3am, set up would take six to seven hours, so we would shoot only about one to two shots a day,” Ranaut told the Indian daily ‘Mid Day’. 2. Indian National Award-winning Ranaut makes her directorial debut with this film. She co-directed it along with filmmaker Krish, who allegedly left the project midway to direct a biopic about late Telugu actor NT Rama Rao. Rumour has it that her incessant interference led to his departure and he has vowed not to return. As a result, the original team led by Krish was dismantled (both its original director of photography and writer KV Vijayendra Prasad have allegedly washed their hands off the project) with Ranaut taking on the reins as director. Producer Kamal Jain maintains that the takeover by Ranaut wasn’t hostile and the actress has been vocal about how she stepped in to resurrect the film. “The first day as a director is something I would value for life,” said Ranaut. In an interview with Indian Express, Ranaut said that she has brought a woman’s perspective into this film. She also says that this movie is a result of collective efforts. 3. In several interviews, Ranaut revealed that the role was the most physically challenging of her career. She had to shift her lifestyle drastically to prepare for it. Usually, she’s more into yoga because it enhances her inner well-being. But in preparation to play Manikarnika, she had to work on her animalistic expressions and it drained her physically. “For nearly a year, I was on horses battling and doing all kinds of super heroic stunts. I had to gain a lot of weight… In those days, those who were in warfare were well-built. I had to keep that in mind to make my role convincing,” Ranaut said. 4. 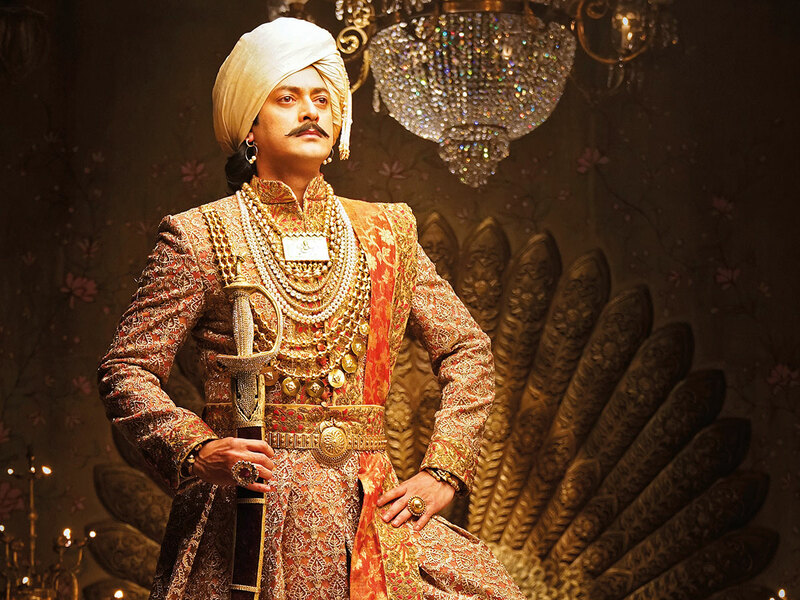 Designer Neeta Lulla created the costumes for this period drama. Lulla took more than six months to put together the look, followed by four months of trials and tests. Pastel tones were used to show Manikarnika’s teenage years, followed by vibrant tones during her married phase. But the palettes become pale while depicting her years as a widow. For the warrior phase, she chose dark and strong colours such as green, red and blue. For ornaments, she chose a blend of Maharashtrian and contemporary jewellery. 5. The making of this film, which began in summer 2017, was controversy ridden. Actor Sonu Sood, who was playing the role of Maratha warrior Sadashivrao Bhau, walked out of the project when Ranaut took over as director. Sood had shot for 45 days in Rajasthan before he cut ties from the film. A volley of accusations was thrown around by Ranaut and Sood, with the actress claiming that he walked out of the project as he was uncomfortable working with a woman director. Sood rubbished her claims. “I just feel sad that she’s making such ridiculous claims about me not wanting to work with a woman director. I have worked with Farah Khan for ‘Happy New Year’ before. So, where does this woman card come from? Gender is never an issue with me when it comes to work,” said Sood in an interview with Gulf News tabloid! when the controversy erupted in September last year. Actor Zeeshan Ayub replaced Sood. 6. It isn’t the first time that this film has come under fire. In February last year, the film was slammed by a Brahmin group in Rajasthan called the Sarv Brahmin Mahasabha. The fringe group claimed that the movie has an “indecent portrayal” of Laxmibai, who was a Brahmin. It was feared that Ranaut’s historic epic would face issues, such as the one that 2018’s ‘Padmaavat’ endured. But Ranaut and director Krish, at that time, denied the allegations vehemently and put a lid on it. 7. Another controversy erupted when Indian National Award-winning filmmaker Ketan Mehta sent a legal notice to Ranaut accusing her of trying to hijack his project ‘Rani of Jhansi: The Warrior Queen’. Mehta claimed that he approached Ranaut to play the role of Laxmibai in June 2015 and had shared his research material with the actress. Due to creative differences, they decided not to pursue his idea as Mehta wanted to make it an international English feature film. They parted ways, but Ranaut’s announcement to be a part of ‘Manikarnika’, a film that resembled his idea, rattled him. It’s believed that Ranaut stole his original idea and developed it. 8. Actress Ankita Lokhande makes her Bollywood debut with this film. “I play Jhalkaribhai, a brave and talented woman. She’s not scared of anyone or anything. She’s the right hand of Manikarnika… She’s a faithful and loyal warrior. 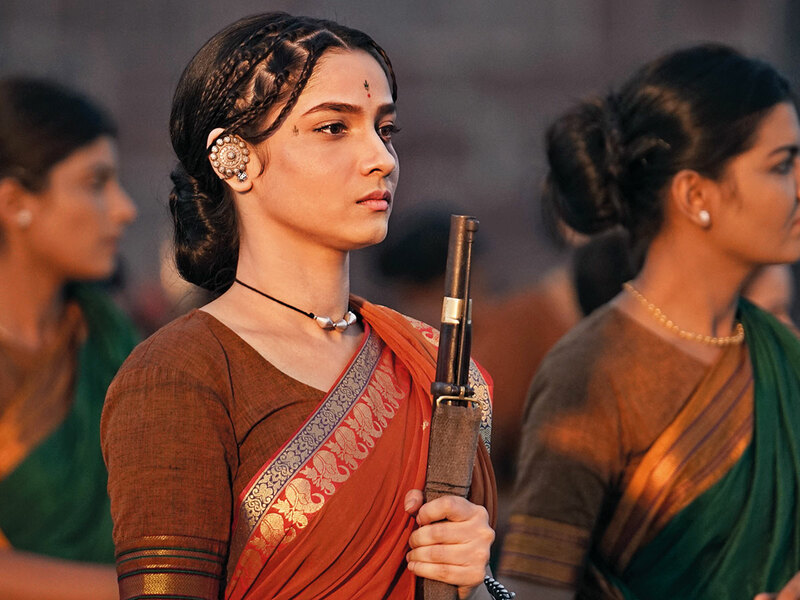 She is an integral part of Manikarnika’s army. It’s a beautiful character of a patriot who fights for her country first,” said Lokhande in an interview with tabloid!. According to folklore, her character used to resemble Manikarnika and she often stood in her place to hoodwink the British. She agreed to be a part of the film because she was fascinated by Jhalkaribhai’s character. But there wasn’t a lot of reference material for her to prepare, so she relied on her instincts to play the role. “It’s such a powerful role to debut in... I may not play the main role, but I am so proud of myself that I have taken such a big risk in my career ... I take pride of playing Jhalkaribhai,” Lokhande said. 9. The Central Board of Film Certification chief Prasoon Joshi has written the dialogues for this film. He has also written the lyrics for the songs, composed by music trio Shankar-Ehsaan-Loy. 10. Nick Powell is the action director and reports claim that he auditioned more than 1,000 fighters and chose 200 to give them special training. The entire crew trained for four months to prepare for the battle scenes, according to a report in ‘Mid Day’. Authentic weapons such as 1857 revolt pistols were used to make the action scenes look epic. Manikarnika: The Queen of Jhansi releases in the UAE on January 24.
WHO WAS RANI LAXMIBAI OR JHANSI KI RANI? Born as Manikarnika Tambe in 1828 in Varanasi, she was a warrior queen who spearheaded the rebellion of 1857. For an Indian patriot, she’s an iconic martyr in India’s freedom struggle from the British Raj. She lost her mother at a young age and was raised by her father who taught her horsemanship and self-defence. She earned the titled of Rani Lakshmibai when she married the Maharaja of Jhansi Gangadhar Rao Newalkar in 1842. She was 14 and a few years into the marriage the couple adopted a boy named Damador Rao when their biological son died a few weeks after his birth. When she turned 18, Rani Lakshmibai became a widow after husband died due to an illness. At that point the East India Company tried to conquer Jhansi, but Lakshmibai refused to give up her husband’s kingdom and put together her own army to fight the invasion. She fought hard and the portrait of Rani Lakshmibai, with her son Rao tied to her back fighting bravely with swords, remain an iconic image in every Indian’s minds.